Click Here to view the Meadow Lake Park Video! Now accepting all major credit cards. Open May 1st. Call or email for reservations. 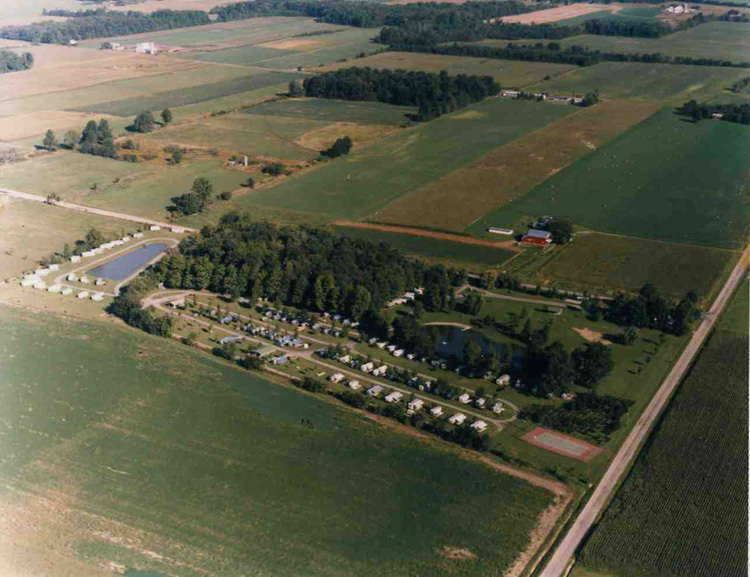 Meadow Lake Park is a 26 acre, 165 site privately operated campground located in Wayne County near Wooster, Ohio. It has two beautiful fishing lakes, new swimming beach, and plenty of waterfront campsites in addition to wooded and pull through sites. All sites have water and electric hookups, some with 50 amp service. Hot showers, ice, propane, firewood, locally made ice cream treats, limited vending and portable on site septic service are also available. 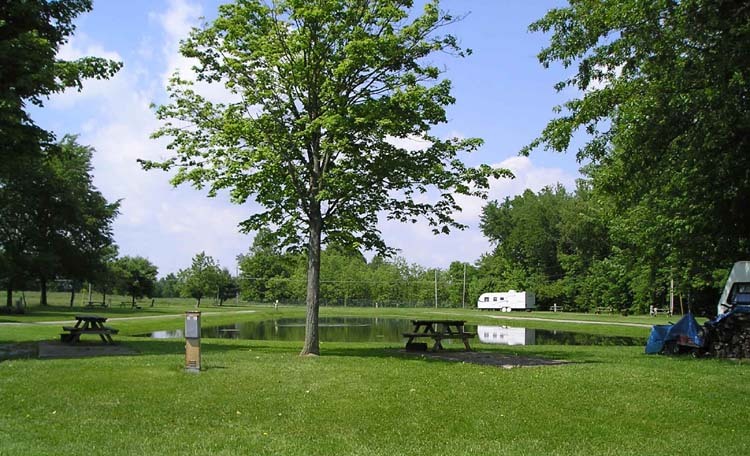 There are many nearby attractions and activities including Amish country, shopping, Bicycle Trails, Pro Football Hall of Fame and the Wayne County Fair but the biggest attraction at Meadow Lake is the peace and quiet of the park itself. The surrounding farm country and rural atmosphere provide a restful and rejuvenating environment that is impossible to duplicate. While you are welcome to enjoy a game of shuffleboard, tennis, horseshoes, play on the swings, go for a swim, or even shoot a few hoops, the most popular sports here are lawn chair riding and campfire poking. We have 3 picnic pavilions and a large "social center" building available for use by groups. Leashed pets are welcome. Camping rates available by day, week, month or season. Cash, check, or all major credit cards. Check in is 11 AM, Check out 2PM. Open May 1st through November 1st.